The harvest team split up and we went our separate ways. 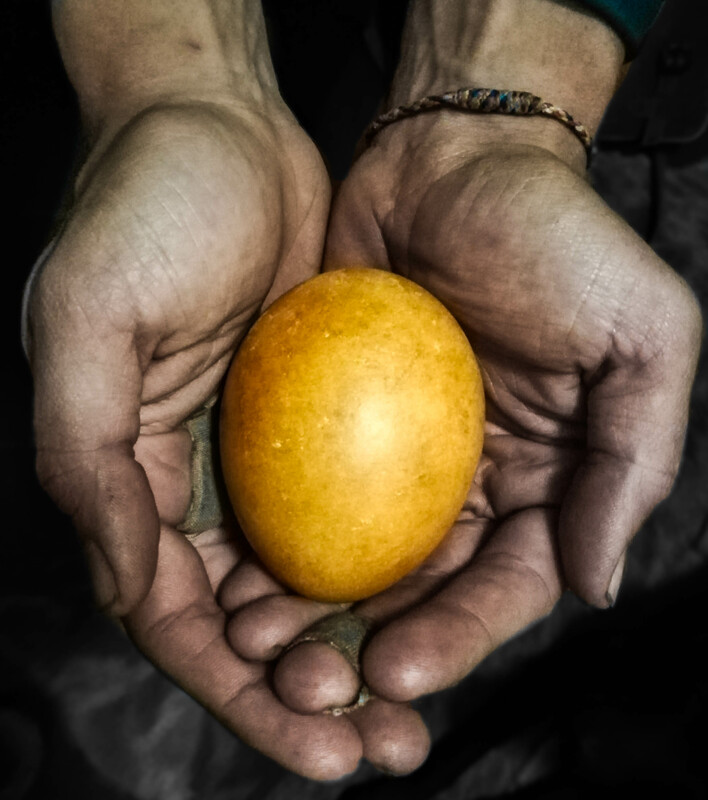 The climbers headed back to Underberg and we drove the beautiful, big, golden egg back to the incubation specialist, meticulously packed into our mobile incubator. “Who needs gym! ?” we reflected as we held the incubator air-born to counteract the vibrations of yet another corrugated road. The sun was setting as we handed our prize over for formal inspection and we were more than ready for some good news! Weighing in at 171 grams, the egg was just above the average egg weight from the last three years. In our opinion this run of ‘bad luck’ was starting to feel a bit ridiculous. Surely we must have used up our quota by now!?! So, with tired deliberation we determined our last move. We refueled with pizza, picked up a fresh team member from the Sanctuary and headed back out to the mountains for one FINAL try. To harvest the last known active and accessible nest for the 2018 bearded vulture breeding season.